This is a beautiful time of year in the Limousin, the countryside is a riot of colour. Behind the Maples is a very old Tulip tree and every year it brings forth an astonishing number of tulip shaped, delicate greeny/yellow/red flowers. 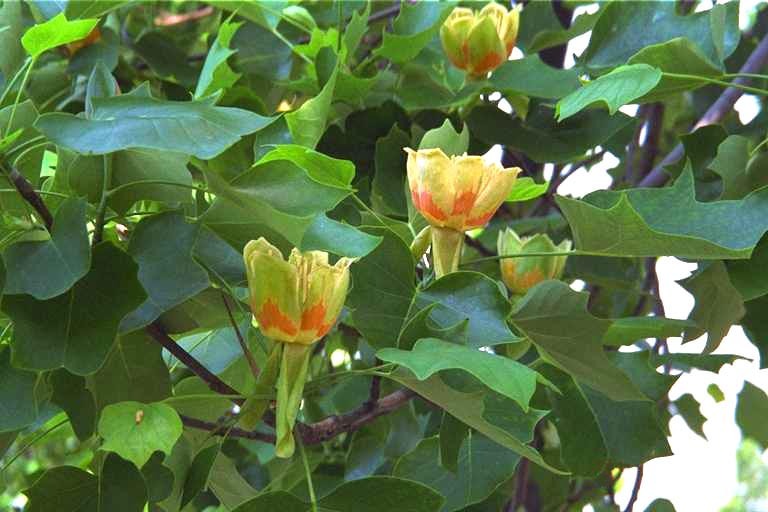 Earlier this week, on Radio 4's PM show I heard Alan Power, the head gardener at Stourhead, talking about the beautiful colour of the Tulip tree in autumn. He is right, I had not previously noticed, but it is a beautiful, soft buttery yellow - enhanced by the darker green leaves closer to the trunk. It quite took my breath away. Mr Power opened my eyes. What a gift - each day at this time of year I will appreciate what he has given freely to me.